I will always remember the first time Alice went in a swing, I was at my parents house and my niece was over and we walked round to the little park nearby. 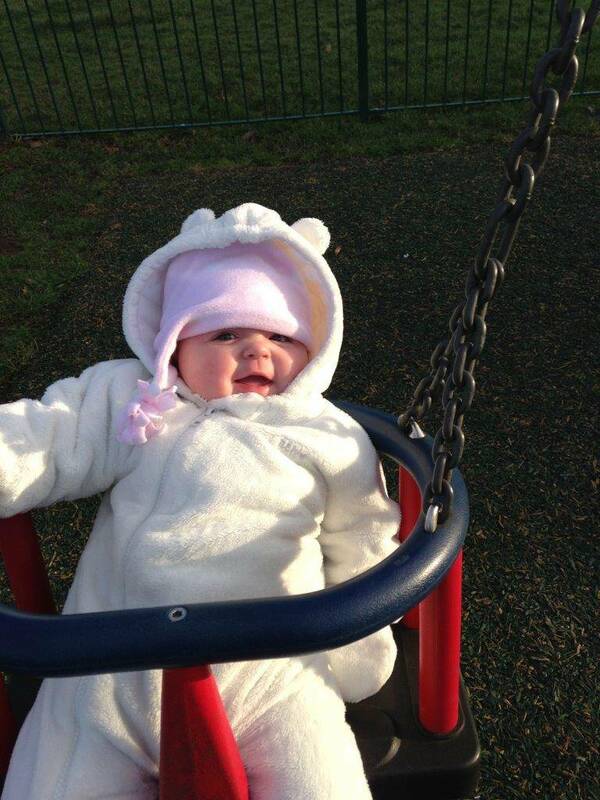 There was no one else in the park and Ruby wanted to have a swing, so my mum popped her in. I looked at Alice and could see her eyes light up and I thought now is the time for you to have ago. From then on wherever we went and there was a swing Alice always had ago and loved it every time. She loved it so much that we decided to buy a swing for our garden, Alice had some money from Christmas that we hadn’t spent and this seemed the perfect way to spend it. We put it together when she was napping one day and when she woke up and we took her out to show her, she was so excited, practically jumping out of my arms. I loved having a swing in the garden, we used it so much over the summer. You know on those late afternoons when you are desperate for your other half to get home and the clock seems to have stopped. I would take Alice out for a swing and life just seemed better again for those few moments. 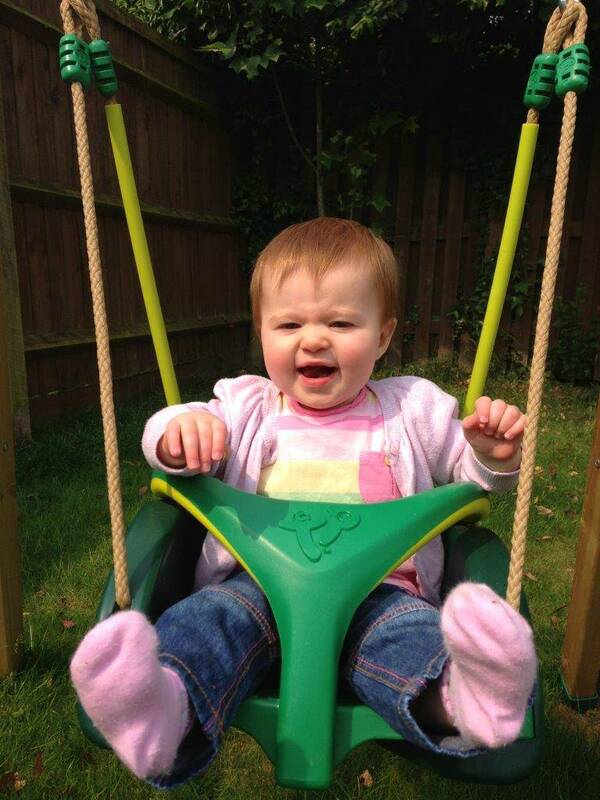 I think Holly may love the swing more than Alice did if that’s possible. 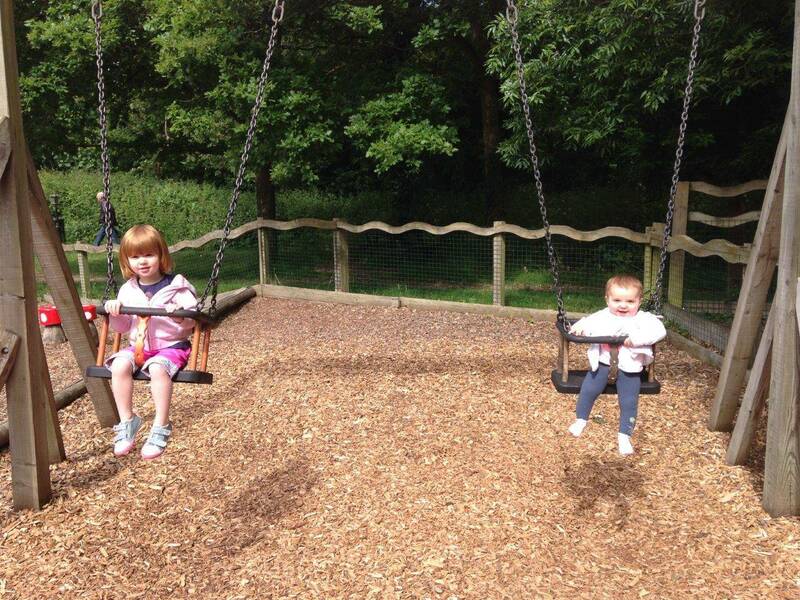 I love how the swing brings my girls together, they can go side by side and enjoy something together. As Holly has got older, Alice likes to give her a push. It has taken a while and a few knocks over for Alice to understand that she doesn’t follow the swing once she has pushed it, but to stand still and it will come back all on its own! 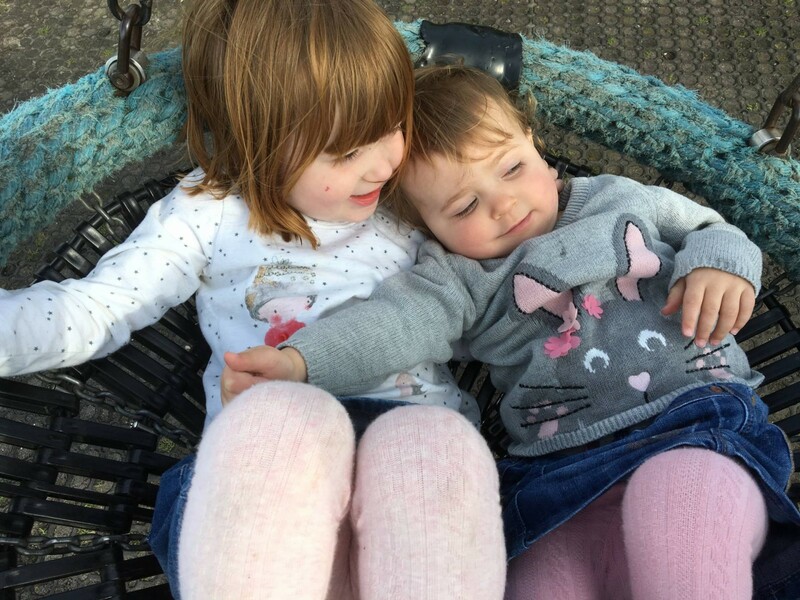 Alice really likes to go on the big girl swing now, as you know she is a big girl, but she can’t resist still asking me to squeeze her into the little swing to have ago with her sister. At some parks they have the swings that you can lay down in and they love to get in together. 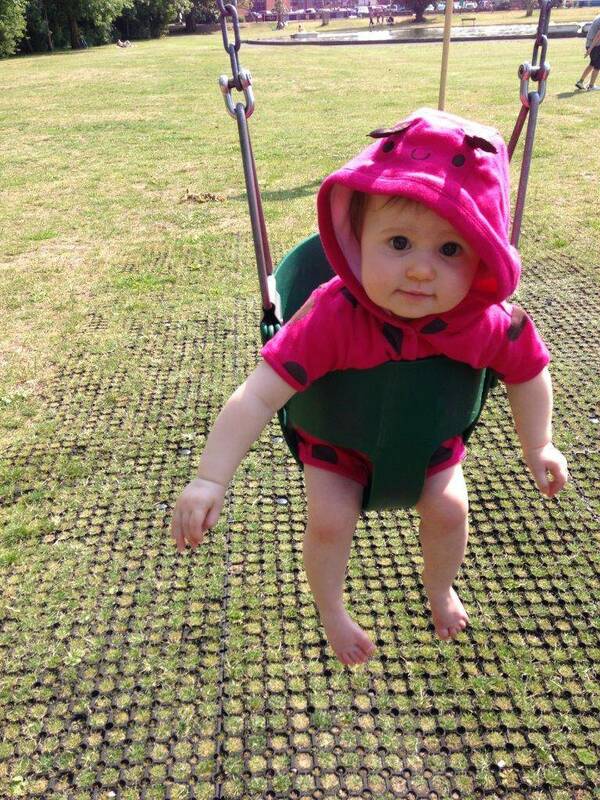 Or, sometimes mummy joins in on the big swing so we can all have fun together…I will grow up one day. 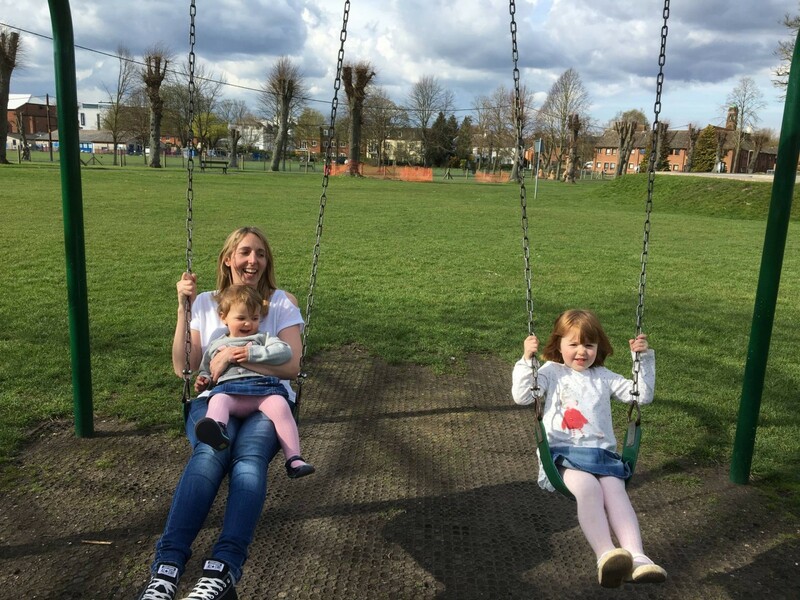 My girls both adore the swings as well although my nearly 2 year old is now adamant her days of going in the baby swing are over leading to a few breath holding moments in the big swing and frantic shouts of hold on! 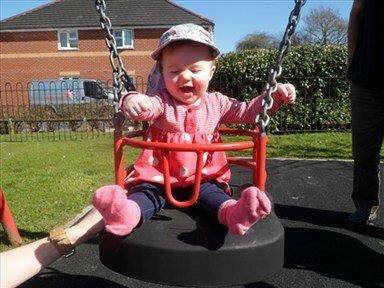 Oh I hate it when they move over to the big swing!!! Yes, they all these things take up space, they are not small!! How lovely, my girls are just the same. We have some work to do on the garden first but getting a swing is high on our agenda too! We bought Kitty a swing for her first birthday and it’s been in near constant use ever since – I love that my three like swinging, especially when it’s a good excuse to get in the big saucer swing with them!! Love a swing! I really want one for the garden but I don’t know if we have space for that and the trampoline sadly.